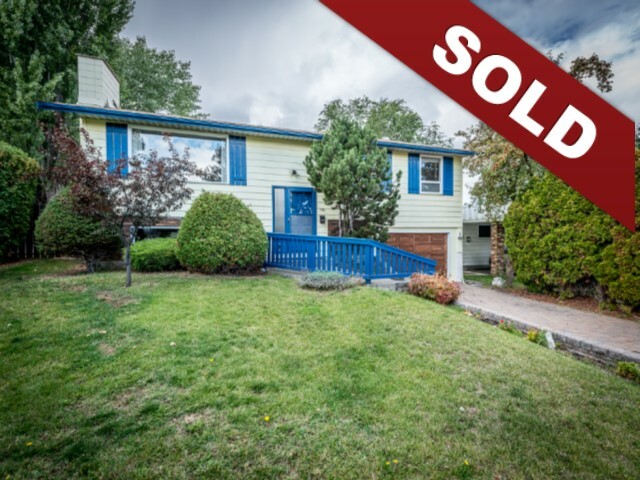 New Listing: 170 Odin Court, Sahali, Kamloops, BC $434,900. Location, location, location! This 4 bedroom, 2 bathroom cathedral style home situated on a quiet cul-de-sac in one of the most desirable family neighbourhoods in Sahali. This home sits on an impressive 13,880 sqft lot with a fully fenced private yard, separately fenced 16 x 32 inground pool area with a lovely deck space for entertaining and endless hours of enjoyment. The main floor features 3 bedrooms, 4 piece bathroom, bright living room with a large picture window to take in the beautiful mountain views. There is a nice dining area and wraparound kitchen overlooking the parklike backyard. The lower level features a large family room, bedroom, laundry room, storage and 3 piece bathroom. Some updated flooring, paint and hot water tank. Oversized one car garage, central a/c and there is a gate conveniently located at the back of the property to access Summit. Centrally located to all amenities including bus, schools, shopping, recreation and TRU! This home is ready for your updating ideas. Easy to show and quick possession is possible!